We hope that you followed our blog, www.radonweek.co.uk during Radon Awareness Week last week. 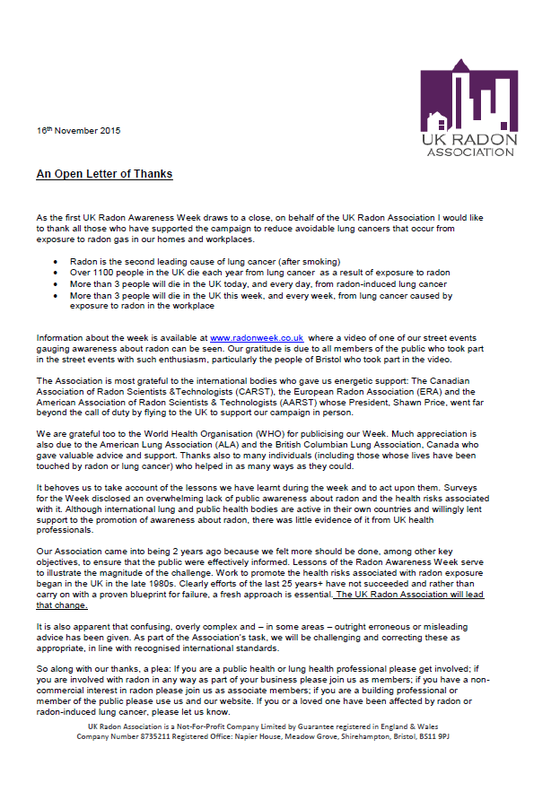 Now that this year’s campaign has ended, the UK Radon Association Chairman, Martin Freeman, has written an open letter of thanks to those who have supported the initiative, as well as setting down objectives for future work. You can read the letter by clicking below.